What better place to be for Labor Day Weekend than the beautiful Lake of the Ozarks? Our community has a variety of events, activities, and entertainment for people of all ages. Many people will head out on the boat to enjoy a little "lake time", others will be looking to snag some great shopping deals while some just come to relax, enjoy a nice meal and hear some great live music! Whatever you decide to do, Lake of the Ozarks is best place to be for Labor Day weekend. 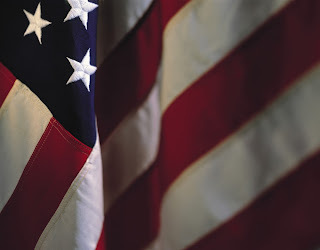 Here are just a few of the things that you can do this Labor Day weekend! Keep your Dock and our Lake CLEAN with Toxic Free Cleaners!! 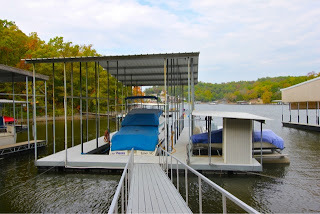 If you live at the Lake of the Ozarks, your dock is probably a huge source of entertainment during the summer months...but as the summer winds down, it may be time to do some cleaning!!! Here are some great tips to keep your dock clean and prevent toxic cleaners from damaging the environment and the natural beauty of Lake of the Ozarks. The Lake of the Ozarks Shootout Kicks Off this Weekend!! The 2013 Lake of the Ozarks Shootout is coming up and the fun kicks off this weekend!!! The Lake of the Ozarks Shootout is a fabulous charity event that benefits local organizations and is always a great event for the entire family! This event is the largest unsanctioned boat race in the United States with official speeds that hit 208 mph in the past two years. Here is a schedule of the events this weekend. August 16-18 Mini Shootout at Kelly's Landing 60mmAugust 18 - Shootout Benefit Golf Tournament at Old KinderhookAugust 19 - Treasure Hunt at Captain Ron's and Buccaneer BayAugust 20 - Shootout PWC Dam RunAugust 20 - Shootout Volleyball Tournament at Captain Ron'sAugust 21- 22 - Shootout in the ParkAugust 22 - Shootout Hall of Fame DinnerAugust 23 - Polylift Poker Run @ Backwater JacksAugust 24-25 Race DayAugust 25 Awards Ceremony For more information about the event, visit www.lakeoftheozarksshootout.org. We hope to see you at the Race!! !